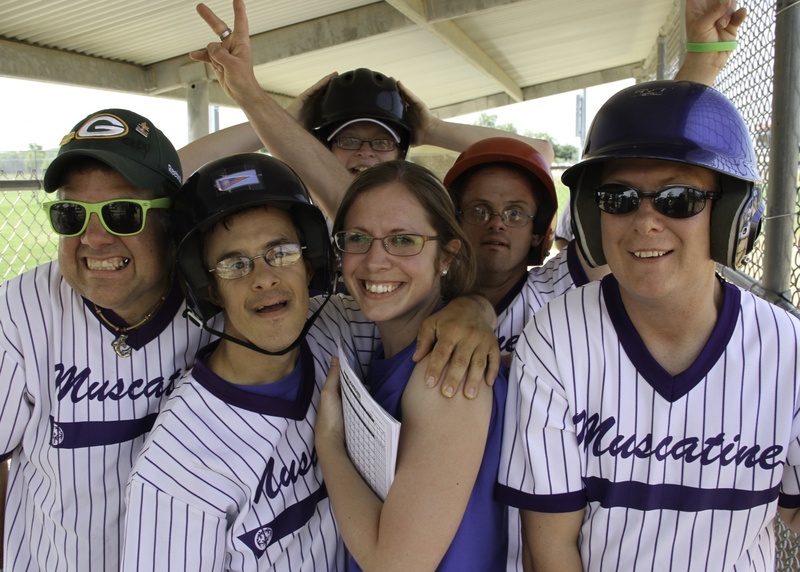 The Special Olympics Iowa State Softball Tournament sponsored by Sammons Financial Group highlights the end of summer each August. Athletes play slow-pitch softball, which involves two teams of 10 athletes each. Softball can also be played as a Unified Sport, joining athletes with and without intellectual disabilities on the same team. The individual skills competition is also offered to allow athletes to train and compete in basic softball skills. The development of these key skills is necessary prior to advancing to team competition. These skills include base running, batting, fielding and throwing.